Ten months after popular South Jersey teacher Allison McGinnis was struck and killed while running along Route 206, the driver has been charged with vehicular homicide. A South Jersey man is finally facing vehicular homicide charges 10 months after he caused a crash on Route 206 last August, killing a popular school teacher and also his front seat passenger. Patrick J. Miller, 29, of New Hanover, was charged this week based on toxicology tests that indicate he was intoxicated and unfit to drive. The crash, which happened in Southampton, Burlington County, shut down narrow Route 206 for hours. 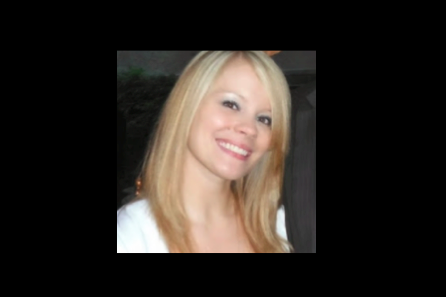 Teacher Allison McGinnis, 29, was struck and killed as she ran on the southbound shoulder last Aug. 27. Miller’s pick-up veered across lanes before striking her. She taught English and language arts to seventh and eighth graders at Helen Fort/Newcomb Middle School in Pemberton Township. McGinnis graduated in 2004 from Lenape High School and attended Rowan University. Her death rocked the school, coming on the heels of another car crash that killed student Janiya Castleberry, 13, just the week before. McGinnis had served on the school’s grief response team in response to the student’s death. A large memorial was staged at the school last September in remembrance of the teacher and student. Also killed was Miller’s passenger, David Eldridge, 31, of Wrightstown, a charter boat operator. He was partially thrown from the truck and crushed by the vehicle, which crashed into trees and then rolled over. Miller had previously been charged with driving offenses and possession of marijuana. He is free on $150,000 cash bail and faces the prospect of indictment.